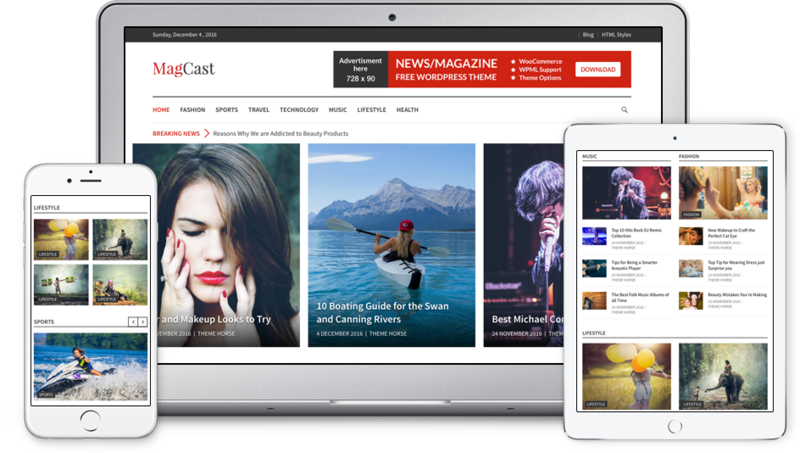 MagCast Pro is a Simple, Clean and Beautiful Responsive Magazine WordPress Theme. MagCast Pro is specially designed for blogger, authors and photographers. Here comes the Premium version of our free theme MagCast with lots of amazing features as per our user’s suggestions and request. Have a look, what’s new on MagCast Pro.